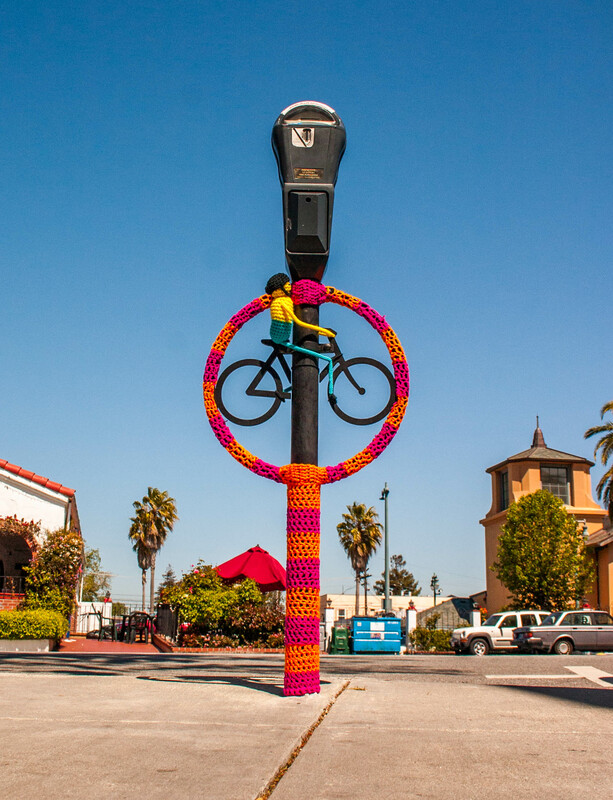 As a result of my yarnbomb work in the area, the Downtown San Mateo Association appointed me Artist in Residence in June 2013. Follow our work here. 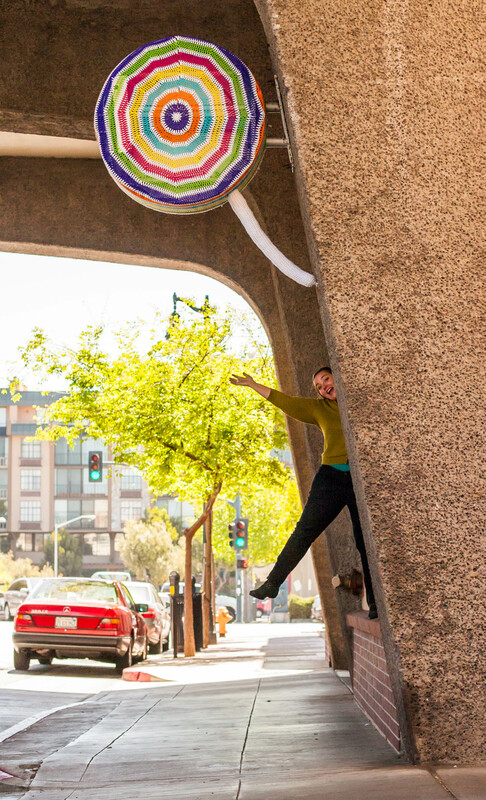 My role is to bring more community-based public art to the downtown area. Our goal is to instill a sense of ownership of local creative arts in the community by involving the public in various aspects of installations, from funding to fabrication. We focus on giving visibility to the art and artists that already exist in the area. If you’re a sponsor, community group, artist, individual or just curious, please contact me. Squid Tree by Lorna and Jill Watt. Completed September 2013 for the North B Street Clean Up. Sponsored by Thrivent. 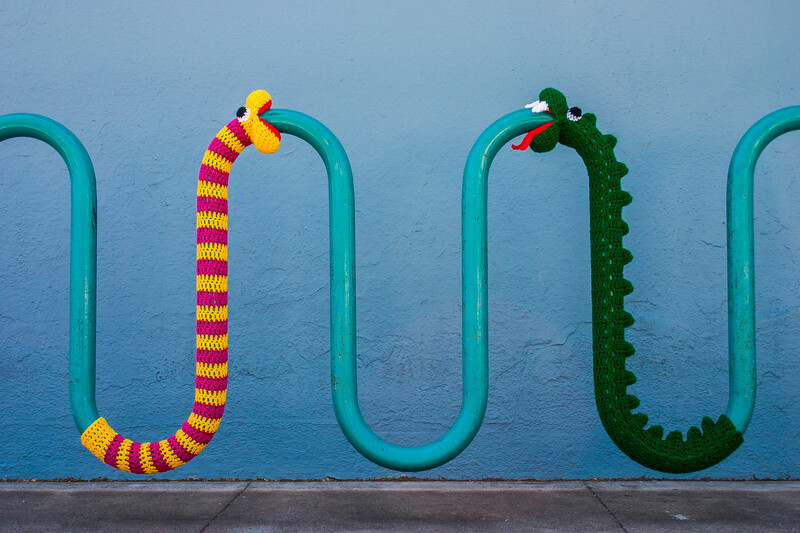 Located at 85 North B St.
Over 40 yarn bombs by Lorna and Jill Watt and local volunteers. Completed April 2013 for the first annual Downtown Clean Up Day. Located throughout the downtown area.